Yusmeiro Alberto Petit was originally signed by Mets scout Gregorio Machado…is married, Ruth, and has a child, Valeria…played in the Japan All-Star Series following the 2018 season…at age 10, played second base for Maracaibo in the 1994 Little League World Series, helping Venezuela earn its first championship title…graduated from U.E. Andres Bello in Venezuela. OAKLAND: Pitched in three of the first four games of the season against Los Angeles (AL) and did not allow a run (3.1 ip)…stranded his first inherited runner on March 30 but then allowed two in herited runners to score April 1, snapping a streak of 32 consecutive inherited runners stranded… prior to that, had not allowed an inherited runner to score since May 8, 2016 at Chicago (NL)… yielded a season-high five hits in 1.0 innings April 6 at Los Angeles (AL)…had a 3.00 ERA in 10 games when he was placed on the family medical emergency list April 17…was reinstated April 21 and pitched in two games (2.1 ip, 1 h, 1 so) before going on the bereavement list April 24… was reinstated April 27 and allowed seven runs on 11 hits in 5.0 innings over his first five games (10.80 ERA)…then logged a 1.53 ERA and .177 opponents batting average over his next 11 contests…allowed a season-high three runs on a season-high tying five hits in 0.1 innings May 4 against Baltimore…then walked a season-high three batters in 2.0 innings the next day against the Orioles, his only outing with more than one walk…also struck out a season-high four batters in the latter game, his first of three four-strikeout games (May 24 vs. Seattle, Aug. 22 vs. Texas)… tossed a season-high 3.0 innings May 24 against Seattle and did not allow a run…yielded eight runs on 12 hits over an 11-game stretch from June 5 to July 1 (6.55 ERA)…pitched at least 2.0 innings in five consecutive games from July 6 to 14 as part of a season-high 11.2-inning scoreless streak from July 6 to 20…had a 1.25 ERA and .139 opponents batting average over a 14-game span from July 6 to Aug. 5…tossed 2.1 scoreless innings for the win July 12 at Houston in his 300th career appearance…was credited with three wins over a four-game stretch from July 12 to 21…logged a 2.25 ERA and .174 opponents batting average in 13 relief appearances in July… struck out 22 and walked just three in 20.0 innings while compiling a 3-0 record…allowed six runs on 10 hits, including four home runs, in 10.1 innings over eight games from Aug. 7 to 26 (5.23 ERA)…did not allow a run in 12 of his final 13 contests beginning Aug. 27…had a 0.69 ERA and .178 opponents batting average over that stretch…compiled a 0.79 ERA in September, which was his lowest single-month ERA since posting a 0.63 ERA in August of 2014…was on the A's roster for the Wild Card game but did not pitch. Signed a minor league deal with Los Angeles (AL) Feb. 15, made the Angels Opening Day roster and spent the entire season in the majors…appeared in a career high 60 games and went 5-2 with a career-high four saves and a career-low 2.76 ERA…also had career-lows in opponents batting average (.207), on-base percentage (.249), slugging percentage (.321) and OPS (.571)…matched his best in wins…struck out 101 batters in 91.1 innings (9.95 per nine innings) and walked just 18 (1.77 per nine innings) for a strikeout-to-walk ratio of 5.61…made one start and his 87.1 innings pitched in relief were the most among Major League relievers…tied for sixth among American League relievers in strikeouts (96)…stranded all 20 of his inherited runners, which were the most in the majors among pitchers with no inherited runners scored…they tied for the most by any AL pitcher with no inherited runners scored dating back to 1974 (Shane Greene, DET 2016) and tied for second most by any ML pitcher (22, Randy Meyers, TOR-SD in 1998)…has allowed just 2-of34 (5.9%) inherited runners to score over the last two years and 14-of-78 (17.9%) in his career… first batters faced were 8-for-58 (.138) with no walks…had the lowest first batter faced on-base percentage in the majors…ranked third in the AL in first batter OPS (.379) and tied for seventh in batting…the on-base percentage was the lowest by an Angels reliever dating back to 1974, the OPS was fourth lowest and the batting average was sixth lowest…has issued just one firstbatter walk in 198 career relief appearances …his opponents batting average included a .186 (36- for-194) mark against right-handed hitters compared to .237 (33-for-139) against left-handers… issued 13 of his 18 walks to lefties for a .307 on-base percentage (.205 vs. righties)…opponents went 2-for-24 (.083) with runners in scoring position and two outs…yielded a .150 average with two strikes…compiled a 2.27 ERA but allowed seven of his nine home runs in 30 games at home compared to a 3.30 ERA in 30 games on the road…logged a 1.03 ERA during the day, 3.46 at night…posted a 1.00 ERA in five interleague appearances and now has a 1.21 ERA (5 er in 37.1 ip) and .163 (21-for-129) opponents batting average in 19 career interleague outings…ranked second among AL relievers in pitches thrown (1299)…tossed at least one inning in 55 of his 59 relief appearances, including two or more 22 times…did not walk a batter in 47 of his 60 appearances… made one start for Venezuela in the World Baseball Classic on March 12 against Mexico and took the loss (2.0 ip, 3 h, 5 r, 5 er, 2 bb, 0 so). LOS ANGELES: Did not allow a run over his first three appearances (4.0 ip)…then allowed at least one run in five of his next six outings from April 12 to 28 (4.35 ERA)…tossed 3.0 innings of relief April 21 against Toronto, his longest outing of 2017 as a reliever (also May 16 vs. Chicago-AL and July 25 at Cleveland)…issued a season-high three walks May 10 at Oakland…tossed 3.0 innings of relief in the Angels 7-6, 11-inning win over Chicago (AL) on May 16 for his first win of the season…that began a career-high five-game winning streak that ran through Sept. 15…did not allow a run in 12 of 14 games from May 23 to June 28 (1.86 ERA)…finished May with a 1.47 ERA and .148 opponents batting average in 10 appearances…was credited with his first save of the season June 25 at Boston when he tossed 2.0 scoreless innings in the Angels 4-2 win…each of his other three saves were one-inning saves…allowed five runs over a four-game stretch from June 30 to July 15 (11.25 ERA)…then logged a 0.79 ERA over a 21-game span from July 21 to Sept. 16… made his only start of the season July 29 at Toronto and had a no decision in a 6-5 Angels win… tossed a season-high 4.0 innings, allowed one unearned run and struck out a season-high five batters (3 h, 0 bb)…it came on three days rest as he tossed 3.0 scoreless innings of relief in his previous outing July 25 at Cleveland…had a career-high 17.0-inning scoreless streak from Aug. 20 to Sept. 20…posted a 1.76 ERA in 11 games in August…struck out a season-high tying five batters in 2.0 scoreless innings of relief Sept. 8 at Seattle…was charged with his only two losses of the season in consecutive outings on Sept. 20 against Cleveland and Sept. 22 at Houston…allowed three runs in each outing, which matched his season high (also May 20 at New York-NL and June 7 at Detroit)…that started a season-ending stretch where he allowed eight runs over his final five games and 5.1 innings (13.50 ERA). In his fourth season with the San Francisco, was used as the Giants' long reliever en route to appearing in a career-high 42 games...Pitched two-ormore innings in 20 of 41 relief appearances...Made one start, May 23 at COL...Opponents hit .211 (16-for-76) off him with runners in scoring position... Relieved RHP Tim Lincecum on May 8 at Miami and tossed 3.0 scoreless, no-hit innings to earn his first career save in SFG's 6-0 win...According to Elias, no Giants pitcher had picked up a save by throwing 3.0-scoreless innings without allowing a hit since Jeff Brantley in 1991. Went 5-5 with a 3.69 ERA (48er, 117.0ip) in 39 appearances (12 starts)...Was inserted into the Giants' rotation on Aug. 28 in place of Tim Lincecum, who had struggled in a starting role... his first six starts came in place of either Matt Cain (five times) or Tim Hudson (once), both of whom dealt with injuries...Went 3-4 with a 5.03 ERA (38er, 68.0ip) in his 12 starts... he was 2-1 with a 1.84 ERA (10er, 49.0ip) in 27 appearances out of the bullpen...Established career-highs in wins (five), innings pitched (117.0) and strikeouts (133)...Ranked sixth in the Majors in strikeouts per 9.0 innings (10.23) among pitchers with at least 100.0 innings pitched...also, finished eighth with a 6.05 K/BB ratio...Held right-handed batters to a .193 clip (45-for-233), which was the second-lowest mark in the Majors trailing only Houston's Collin McHugh (.190)...Established a new Major League record for consecutive batters retired in a single season, retiring 46 consecutive batters over eight appearances (six in relief) from July 22-Aug. 28...his streak was broken up by the Rockies' Jordan Lyles, who doubled to left field with two outs in the 3rd inning...Tossed his second career complete game on Sept. 9 vs. Arizona...he became just the third San Francisco Giants pitcher to toss a 9.0 inning complete game, while throwing less than 90 pitches…his 84 pitches were the fewest ever by a SF Giant in a 9.0 inning complete game...Faced 70-consecutive batters without going to a three-ball count from Sept. 2-20...was just the second pitcher to face 70+ consecutive batters without going to a threeball count this in 2014, joining Chad Qualls who went 71-straight batters from April 29-June 28. Spent most of the season with triple-A Fresno, but also appeared in eight games (seven starts) for the Giants, going 4-1 with a 3.56 ERA (19er, 48.0ip). Had his contract purchased from triple-A Fresno on July 23 and made a relief appearance that day vs. Cincinnati in game one of a doubleheader, logging 5.1 innings and allowing two runs on six hits...marked the longest relief stint of his career. Five days after the July 23 game he was designated for assignment on July 28...after clearing waivers he was outrighted to triple-A on Aug. 4 and then had his contract purchased again by the Giants on Aug. 23...was added to the 25-man roster after RHP Matt Cain was placed on the 15-day disabled list for the first time in his career with a contusion on his right forearm. His season will be most remembered for his near perfect game on Sept. 6 vs. Arizona, where he came within one out of tossing the 24th perfect game in Major League history before Eric Chavez singled to right field. Became just the 12th player in Major eague history to lose a perfect game with two outs in the 9th inning. Struck out career-best 10 D-backs through 6.0 innings in his start on Sept. 1 at Arizona in the Giants' 8-2 victory. Won four of his first five starts and went 4-1 with a 3.59 ERA (17er, 42.2ip) and one complete game in seven starting assignments...his four wins were a career-high. Prior to being called up to the big leagues, he spent most of the season with triple-A Fresno, going 5-6 with a 4.52 ERA (44er, 87.2ip) in 15 starts (one complete game)... struck out 91 batters while issuing just 13 walks. Had a season-best 13 strikeouts in just 6.0 innings in his start April 19 at Tacoma. Spent the entire 2012 campaign in Fresno's starting rotation going 7-7 with a 3.46 ERA (64er, 166.2ip), and 153 strikeouts and 36 BBs in 28 starts. Had his contract purchased by the Giants from triple-A Fresno on Sept. 7. Made one appearance for SF on Sept. 23 vs. SD, starting in place of Tim Lincecum, as he allowed two runs in 4.2 innings. Was a member of the PCL and Triple-A champion Tacoma Rainiers...went 4-2, 4.85(32 ER, 59.1 IP) in 24 appearances (6 GS)...also went 0-1, 3.38 in 2 post-season starts...opened the season on the disabled April 9-May 10 with a right sholder strain...alsomissed 2 weeks in mid-August on the inactive list...went 3-1, 2.60 (8 ER, 27.2 IP) in 6starts, including 2-0, 1.80 (4 ER, 20.0 IP) over his last 4 starts...allowed 4 hits and struckout season-high (tied) 8 batters in 7.0 shutout innings in final start Sept. 5 at Fresno toclinch Tacoma's division title...pitched for Bravos de Margarita in the Venezuelan WinterLeague. In his most extensive big league action, went 3-10 with a 5.82 ERA (58 ER, 89.2 IP) in23 games (17 GS) and spent 2 months on the DL...allowed 1 hit in career-high 8.0 inningsAug. 4 at Pittsburgh...had no-hitter broken up in the 8th inning...8.0 scoreless inningsmarked his fourth career start with at least 5.0 shutout frames pitched...tallied careerhigh14.0 consecutive scoreless innings in back-to-back starts July 29 vs. Philadelphia(6.0 IP) and Aug. 4 at Pittsburgh (8.0 IP)...went 3-9, 5.72 in 17 starts and 0-1, 7.11 in 6relief appearances...on the disabled list May 9-July 4 with a strained right shoulder...made 5 rehab starts at Reno (AAA), going 0-1 with a 6.89 ERA (12 ER, 15.2 IP). Filled in effectively as a spot starter in the D-backs rotation again and went 3-5 with a4.31 ERA in 19 games (8 starts)...Started the season in the Major Leagues for the first time in his career and posted a 0-1mark with a 4.70 ERA (4 ER in 7.2 IP) in 6 relief appearances before being optioned toTucson (AAA) on April 27...Made 11 starts for the Sidewinders, going 3-3 with a 4.80 ERA (32 ER in 60.0 IP) whilecarrying an 8.38 strikeout/walk ratio (67 strikeouts, 8 walks)...had his best outing forTucson on June 18 at Portland, allowing a run on 6 hits with 2 walks and 10 strikeoutsover 7.0 innings...Recalled on June 27 and remained in the Majors for the remainder of the season...madehis first start of the season for the D-backs on July 2 and earned a no-decision in a 4-3loss vs. Milwaukee after allowing only 1 run on 2 hits with 4 strikeouts in 6.0 innings...Earned his first win of the season on July 22 vs. Chicago Cubs after allowing 1 run on 3hits in 5.0 innings despite walking a season-high 4 batters...Made a relief appearance on July 28 at San Diego and then was inserted into the startingrotation for 6 games from Aug. 2-Sept. 8 after Micah Owings was optioned to Tucson...was 2-4 with a 5.34 ERA (18 ER in 30.1 IP) in the 6 starts...Won back-to-back starts for the first time in his career after allowing 2 runs on 4 hits ina career-high-tying 7.0 innings at Houston on Aug. 16 and gave up a run on 2 hits in 6.0innings on Aug. 23 vs. Florida.Made 2 appearances out of the bullpen after Max Scherzer took his spot in the startingrotation on Sept. 14...Went 3-4 with a 4.35 ERA (20 ER in 41.1 IP) with 12 walks and 30 strikeouts in 8 gamesas a starting pitcher...Held opposing batters to a .216 average (45-for-208) for the season, including a .213average (32-for-150) as a starter. Picked up his first win for Tucson (AAA) on April 15 against Colorado Springs, tossing 6.0 innings, allowing 2 earned runs off 6 hits with 5 strikeouts...Recalled on April 22 and made his D-backs debut that night at San Francisco, allowing 2 runs over 7.0 innings in the loss...Earned wins in 5 of his next 6 starts, going 5-0 with a 2.21 ERA (9 ER in 36.2 IP)...Earned his first win for the D-backs on July 3 at St. Louis, allowing 1 run over 5.1 innings...Recalled from Tucson on Aug. 19, making the start that evening at Atlanta, allowing 6 earned runs over 3.2 innings...Appeared in 4 games as a reliever for the D-backs, going 1-0 with a 1.50 ERA (1 ER in 6.0 IP)...Took a no-decision on Sept. 30 despite tossing 5.0 scoreless innings, allowing 4 hits while striking out 4. Appeared in 15 games (one start) with Marlins, going 1-1 with 9.57 ERA during his three Major League stints...Pitched primarily out of bullpen, going 0-1 with 10.18 ERA in 14 outings as a reliever...made Major League debut on May 14 atPittsburgh, allowing one hit with two strikeouts in 1.0 inning...held Atlanta scoreless in 3.0 innings during second appearance on May17 at Turner Field, recording a career-high three strikeouts...suffered first Major League loss on May 19 at Tampa Bay, allowing a 10th-inning walkoff home run to Aubry Huff, his first batter faced...was optioned to Albuquerque on June 18 after going 0-1 with 7.36 ERA in seven outings...was recalled on July 4, and went 1-0 with a 10.57 ERA in two games before he was optioned back to Albuquerque on July 17...was recalled on September 1, and went 0-0 with 11.74 ERA in final six appearances of season...Made first Major League start and earned first ML win on July 5 at Washington...yielded five earned runs on 11 hits with two strikeouts in 6.0 innings of Marlins' 18-9 win...Batted .200 (1x5) with one RBI...recorded first Major League hit and RBI on July 5 at Washington, with a single to left off Saul Rivera...Went 4-6 with 4.28 ERA in 17 starts for Albuquerque...recorded 68 strikeouts and 20 walks in 96.2 innings. Spent time with Capital City (A), St. Lucie (A) and Binghamton (AA) during season... finished second among allminor league pitchers with 200 strikeouts and first in strikeouts per nine innings (12.92)... received the SterlingOrganizational Pitcher of the Year Award as top pitcher in the Mets organization... began the season at CapitalCity of the South Atlantic League... selected to the SAL Mid-Season All-Star Game... notched 122 strikeouts andissued only 22 walks in 83.0 innings with the Bombers... was first in the SAL in wins and strikeouts before he was promotedto St. Lucie of the Florida State League on July 26... had 62 strikeouts in 44.1 innings with St. Lucie... recordedthree consecutive games of 10 or more strikeouts from July 28 to August 9... had 10 strikeouts on July 28 atLakewood, 11 strikeouts on August 2 in Game One of a doubleheader at Palm Beach and 11 more on August 9at Brevard County... overall, he had 32 strikeouts in 19.2 innings during that span... promoted to Binghamton of theEastern League on August 28... made two starts for Binghamton and fanned 10 batters in 7.0 innings on August 28at Trenton... pitched 0.2 scoreless innings for the World Team at the 2004 Futures Game on July 11 in Houston...was 4-3 with a 2.15 ERA in 11 starts for Magallanes in the Venezuelan Winter League... in 50.1 innings, he surrendered43 hits, 18 runs (12 ER), with eight walks and 53 strikeouts. Split season between Kingsport (A) and Brooklyn (A)... finished third in the Appalachian League in strikeouts, fourthin strikeouts per nine innings (9.44) and fifth in ERA... also placed second in Appalachian League in fewest baseson balls per nine innings (1.16) and allowed the second fewest runners per nine innings (8.56)... named AL Pitcherof the Week for the week of July 14-20... promoted to Brooklyn of the New York-Penn League on August 23...hurled 8.0 shutout innings, allowing only one hit with 13 strikeouts in his final regular season start on September 1 atHudson Valley... recorded 20 strikeouts in 12.1 innings with the Cyclones. Made his professional debut in the Venezuelan Summer League... went 3-5 with 2.43 ERA in 12 games (11 starts)with Universidad. 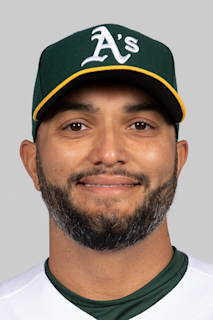 April 27, 2018 Oakland Athletics activated RHP Yusmeiro Petit from the bereavement list. April 24, 2018 Oakland Athletics placed RHP Yusmeiro Petit on the bereavement list. April 21, 2018 Oakland Athletics activated RHP Yusmeiro Petit. April 17, 2018 RHP Yusmeiro Petit roster status changed by Oakland Athletics. December 7, 2017 Oakland Athletics signed free agent RHP Yusmeiro Petit. November 2, 2017 RHP Yusmeiro Petit elected free agency. April 2, 2017 Los Angeles Angels selected the contract of RHP Yusmeiro Petit from Salt Lake Bees. February 8, 2017 Los Angeles Angels signed free agent RHP Yusmeiro Petit to a minor league contract and invited him to spring training. February 8, 2017 RHP Yusmeiro Petit assigned to Salt Lake Bees. November 3, 2016 RHP Yusmeiro Petit elected free agency. October 14, 2016 Washington Nationals activated RHP Yusmeiro Petit. October 7, 2016 Washington Nationals reassigned RHP Yusmeiro Petit to the minor leagues. December 14, 2015 Washington Nationals signed free agent RHP Yusmeiro Petit. December 2, 2015 RHP Yusmeiro Petit elected free agency. September 17, 2015 RHP Yusmeiro Petit assigned to Navegantes del Magallanes. August 23, 2013 San Francisco Giants selected the contract of RHP Yusmeiro Petit from Fresno Grizzlies. August 4, 2013 San Francisco Giants sent Yusmeiro Petit outright to Fresno Grizzlies. July 28, 2013 San Francisco Giants designated Yusmeiro Petit for assignment. July 23, 2013 San Francisco Giants selected the contract of RHP Yusmeiro Petit from Fresno Grizzlies. June 28, 2013 Yusmeiro Petit roster status changed by Fresno Grizzlies. June 23, 2013 Fresno Grizzlies sent RHP Yusmeiro Petit on a rehab assignment to AZL Giants. May 6, 2013 Fresno Grizzlies placed RHP Yusmeiro Petit on the 7-day disabled list. March 17, 2013 San Francisco Giants sent RHP Yusmeiro Petit outright to Fresno Grizzlies. October 29, 2012 Yusmeiro Petit roster status changed by San Francisco Giants. October 11, 2012 RHP Yusmeiro Petit assigned to Bravos de Margarita. September 7, 2012 San Francisco Giants selected the contract of RHP Yusmeiro Petit from AZL Giants. September 2, 2012 Yusmeiro Petit assigned to AZL Giants from Fresno Grizzlies. April 5, 2012 Yusmeiro Petit assigned to Fresno Grizzlies. March 6, 2012 RHP Yusmeiro Petit assigned to San Francisco Giants. December 31, 2011 RHP Yusmeiro Petit transferred to Tigres de Aragua from Bravos de Margarita. November 28, 2011 San Francisco Giants signed free agent RHP Yusmeiro Petit to a minor league contract. November 1, 2011 RHP Yusmeiro Petit elected free agency. June 19, 2011 RHP Yusmeiro Petit assigned to Guerreros de Oaxaca. May 1, 2011 Tacoma Rainiers released RHP Yusmeiro Petit. April 7, 2011 Tacoma Rainiers placed RHP Yusmeiro Petit on the temporarily inactive list. November 23, 2010 Seattle Mariners invited non-roster RHP Yusmeiro Petit to spring training. November 23, 2010 RHP Yusmeiro Petit assigned to Tacoma Rainiers. November 6, 2010 RHP Yusmeiro Petit elected free agency. October 11, 2010 Yusmeiro Petit assigned to Bravos de Margarita. August 28, 2010 Tacoma Rainiers activated RHP Yusmeiro Petit from the temporarily inactive list. August 14, 2010 Tacoma Rainiers placed RHP Yusmeiro Petit on the temporarily inactive list. May 10, 2010 Tacoma Rainiers activated RHP Yusmeiro Petit from the 7-day disabled list. April 12, 2010 Tacoma Rainiers placed RHP Yusmeiro Petit on the 7-day disabled list retroactive to April 9, 2010. April 4, 2010 RHP Yusmeiro Petit assigned to Seattle Mariners. March 21, 2010 Tacoma Rainiers signed free agent RHP Yusmeiro Petit. March 17, 2010 Seattle Mariners released RHP Yusmeiro Petit. February 6, 2010 Seattle Mariners designated Yusmeiro Petit for assignment. November 4, 2009 Seattle Mariners claimed RHP Yusmeiro Petit off waivers from Arizona Diamondbacks. October 7, 2009 RHP Yusmeiro Petit assigned to Navegantes del Magallanes. July 4, 2009 Yusmeiro Petit roster status changed by Arizona Diamondbacks. June 8, 2009 Arizona Diamondbacks sent RHP Yusmeiro Petit on a rehab assignment to Reno Aces.